Is there a way to link folders instead of files? Both Box and Google Drive allows you to link to folders within Insightly, but Dropbox does not. Is that an issue with Dropbox? can you be more specific? 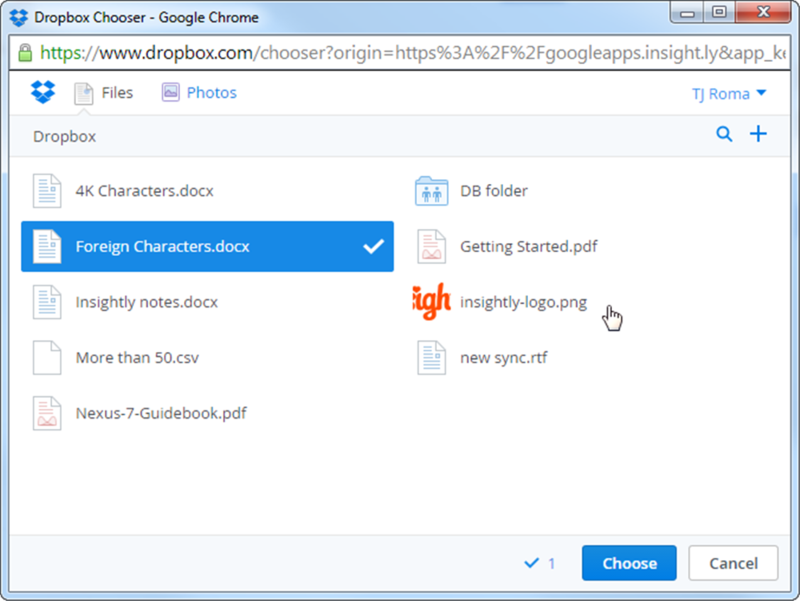 Both the Dropbox and the Box pickers (the popups) are products from those companies. So the functionality and features within those popup windows are controlled by Box and Dropbox respectively. Dropbox does not allow linking to folders at this time in their picker. Any plans to add WebDav to integrate solutions like ownCloud?